'Dire wolves' differ from the common variety only in size and color. They typically stand taller than a horse at the shoulder, and have an appetite to match. Only a madman would willingly encounter them; but goblins, at great cost to themselves, have managed to tame and ride them. The claws of a wolf are not generally regarded as being the more dangerous parts, but on a beast this large, they are thicker and longer than iron nails. 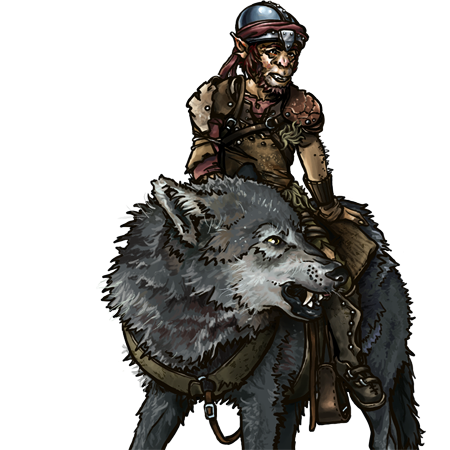 Their riders smear a poison on the front set, not unlike that used by the orcish assassins, making a swipe from these beasts' paws into a most deadly stroke. Last updated on Sat Apr 20 01:28:28 2019.